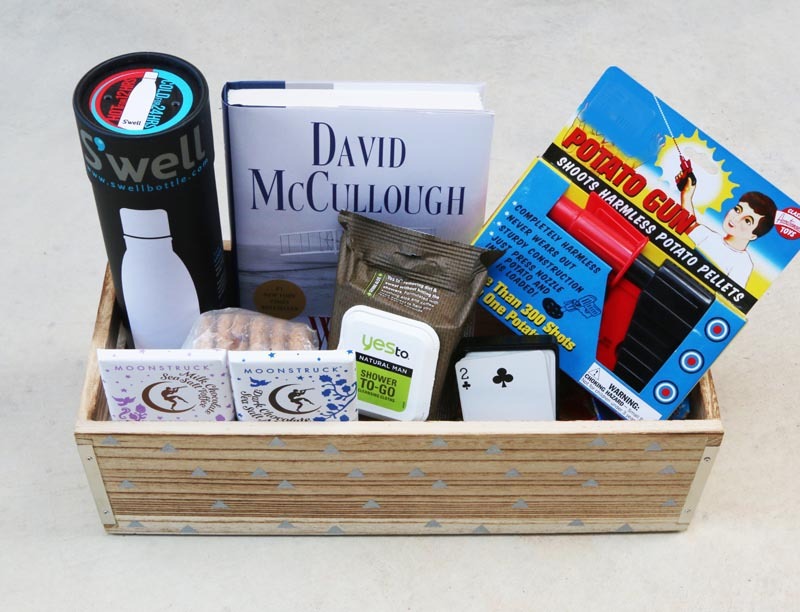 How to Make the Perfect Care Package… for Anyone! It’s hard to know that someone you care about is hurting and feel like there isn’t much you can do to help. 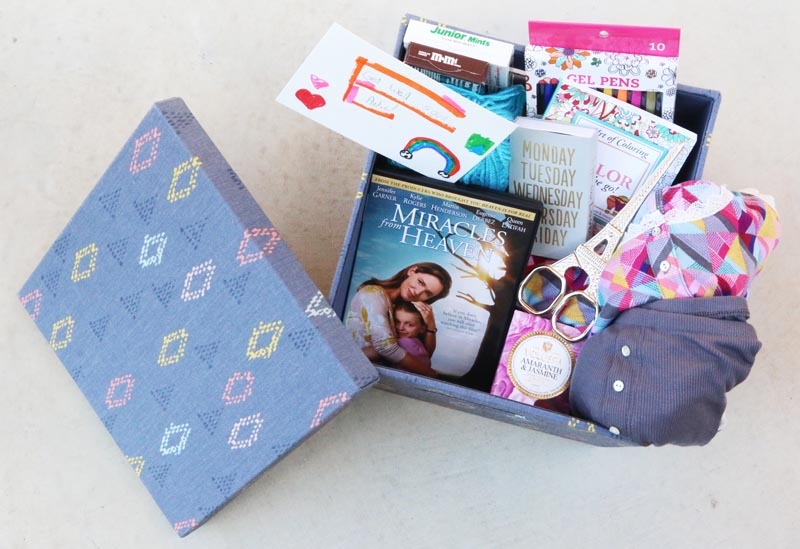 If distance is keeping you from the hands-on support of caring for a friend, you may need to turn to providing love of the mail-able variety. A care package wont cure many physical ailments but it will give the recipient some much needed TLC. Just being reminded that someone is thinking of you, even with some material goods, can be enough to get you through a bad day with a serious illness, a broken arm, or even a broken heart. Getting through tough times is easier with the support of family and friends. 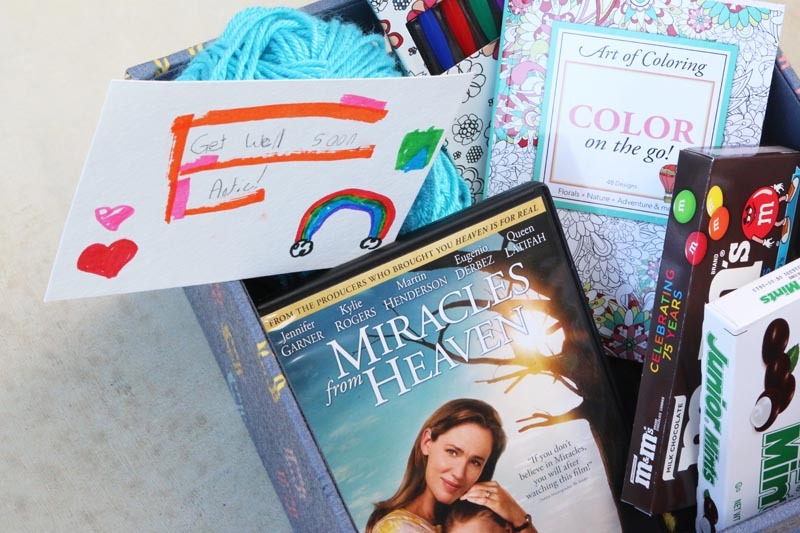 Sony Pictures Home Entertainment asked us to come up with a guide to building the perfect care package to celebrate the DVD release of Miracles From Heaven. 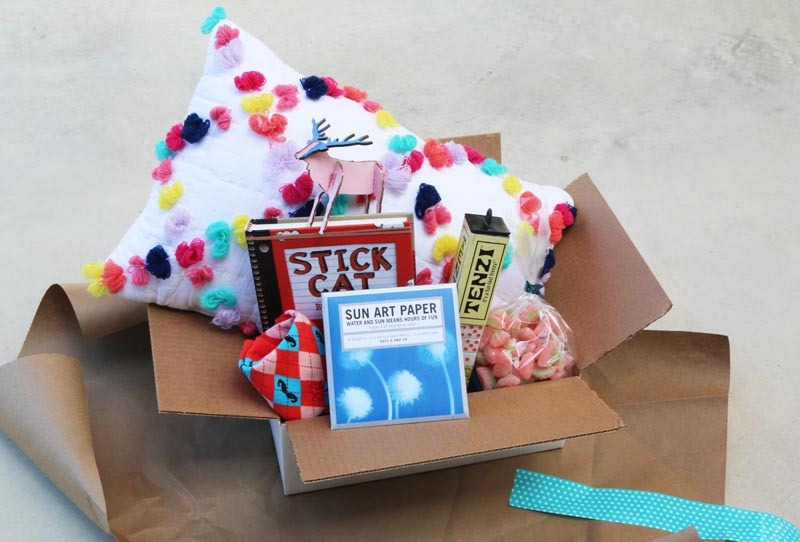 While there are no real rules for building a care package, and there is no reason to go over the top, this little guide may help you get started if you are feeling overwhelmed by the idea but want to send something special to a friend. The basic thought here is to select an item from each of these four categories; something to do, something to eat, something practical, something handmade. Not required but I also like to add something weird or unexpected. I always turn to humor in dark times, it’s both my best and worst quality. 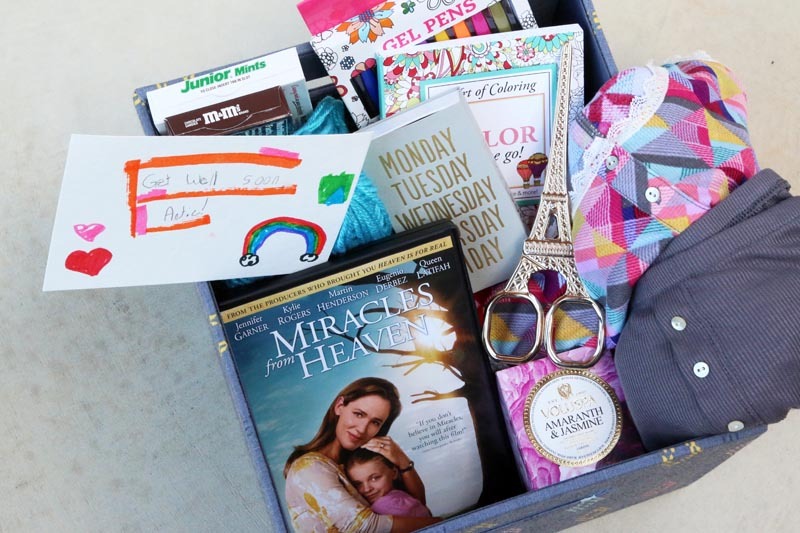 For example, let’s start with a care package for your friend/sister/mom. 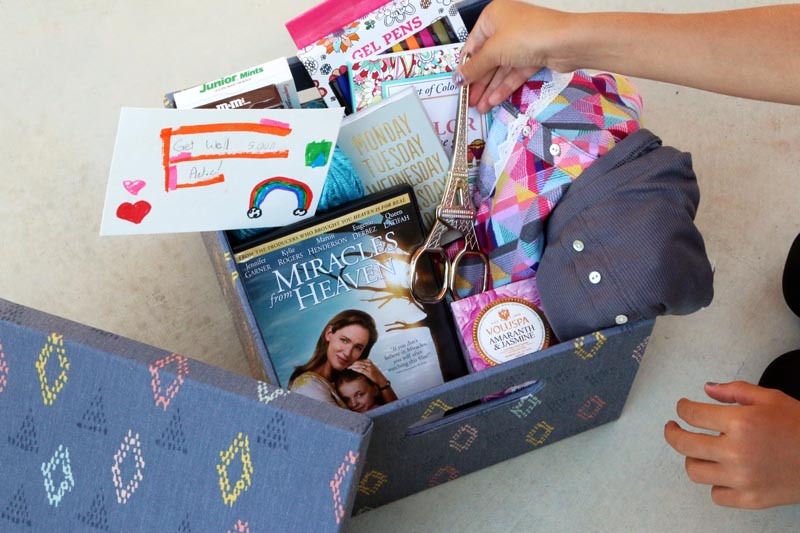 Something to do: A great uplifting movie like Miracles from Heaven, in which Jennifer Garner stars as a mom who is a fierce advocate for her daughter who is suffering from a rare illness before a shocking miracle changes everything. Add in a portable hobby or craft like an adult coloring book with gel pens, and knitting supplies. Something to eat: Obviously, some movie candy or popcorn would do nicely. Something practical: Pajamas or a scented candle and matches. Just because they are practical doesn’t mean they can’t be pretty and smell scrumptious. Something handmade: A sweet hand written card will do the trick. Something weird/unexpected: A pair of scissors shaped like the Eiffel Tower, because why not? 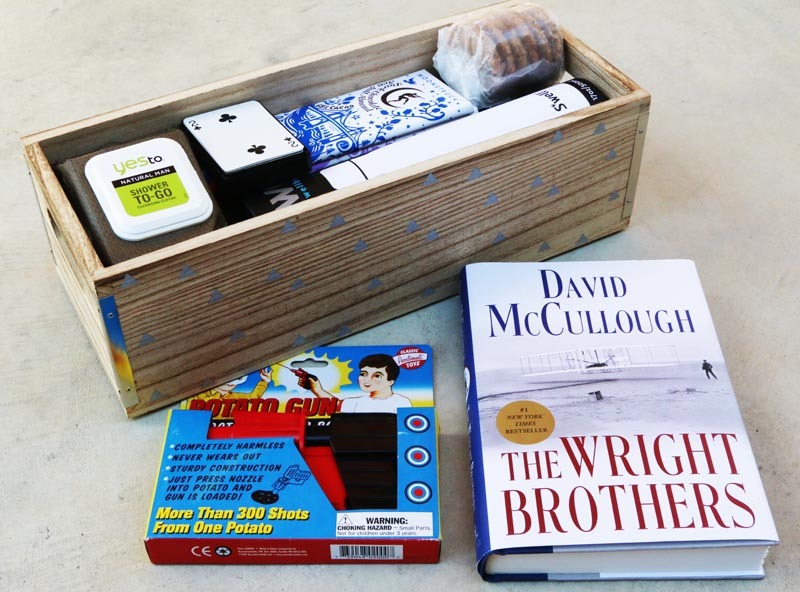 Something to do: A great book like The Wright Brothers by David McCullough, which my husband just finished. Save some cash and make it more personal by sending a tome that you have already read and enjoyed. A deck of cards is a nice last-minute addition. Something to eat: Chocolate bars. Just not in the Summer in Texas. Something practical: A water bottle to keep a beverage cool on the nightstand or these convenient Yes To Shower To-Go wipes. Something handmade: With dudes, you can’t lose by doubling down on the edibles. A stash of fresh-baked cookies or brownies will be much appreciated. Something weird/unexpected: A potato gun because… MORE THAN 300 SHOTS FROM ONE POTATO!! 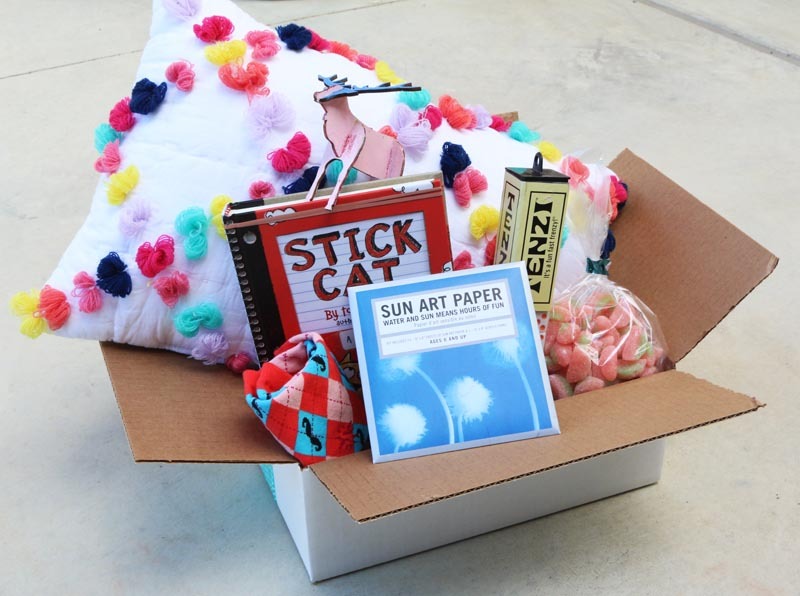 Something to do: A funny book like Stick Cat by Tom Watson (age 7+), A travel game like TENZI or something crafty like Sun Art Paper are enjoyable for all ages. Something to eat: My girls would always choose Sour Watermelon Slices so we had to include some. Something practical: A cute pillow is pretty and useful. Something handmade: My girls love to decorate these small wooden animals with paint and glitter. They add a sweet handmade touch to a bookshelf or nightstand. When Christy (Jennifer Garner) discovers her 10-year-old daughter Annabel (Kylie Rogers) has a rare, incurable disease, she becomes a ferocious advocate for her daughter’s healing as she searches for a solution. After Annabel has a freak accident and falls three stories, a miracle unfolds in the wake of her dramatic rescue that leaves medical specialists mystified, her family restored and their community inspired. Wonderful ideas! Thanks so much!